Do you feel overwhelmed when you walk into a crowded room? Do confrontations with others wreck your nervous system? Would you rather stay at home and recharge instead of going out all night? Does your stomach hurt when you are in situations that make you nervous? Do you sleep lightly with a non-stop, racing mind? You may be an HSP – a Highly Sensitive Person. A phrased coined by Dr. Elaine Aron, A psychotherapist who understood that there are a unique sect of people in the population that feels overwhelm, nervousness and emotions more deeply than the average person. An interesting aspect of a HSP is the dysfunctional relationship to the self. 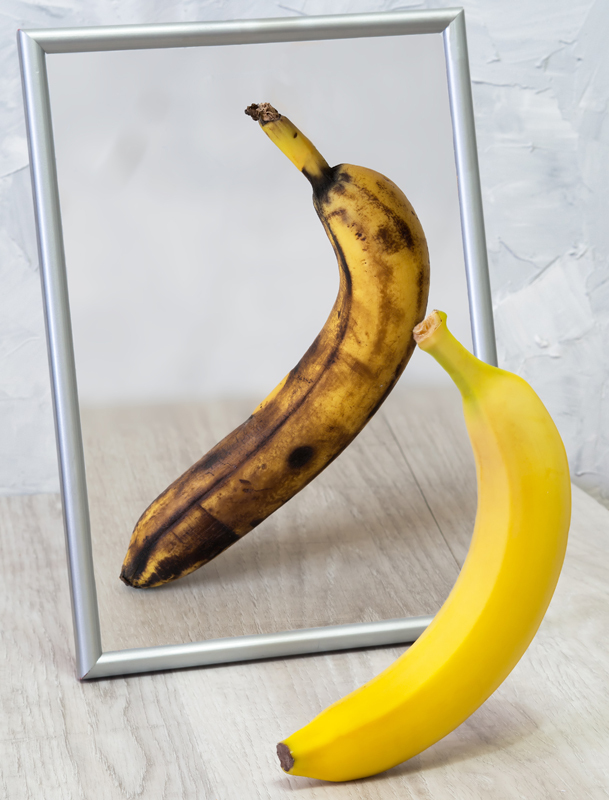 This type of person can feel an immense responsibility to be perfect or be hyper critical to self, which can impact self-worth and self- acceptance. This culture does not encourage or inspire a HSP to be fully actualized. It is looked down upon to be “too Sensitive,” too emotional” and “empathic.” We hold the value of “stiff upper lip” and “resilience” to be qualities of strength and fortitude. As a HSP myself, I have been told my whole life that I was “too emotional.” This seemed to be a deal breaker to most of the men I dated. So I tried to be “normal” and suppress my overwhelming emotions, which of course would backfire after a period of time. I always felt different. I had eyes that others did not. Was it “weird” that I could read other people’s energy and know all about them just by their body language and feeling their presence? Was it strange that I never took people at their word, preferring to sense if they were emotionally safe for me? Was it odd that I could be omnipotent in any social situation and sense deep sadness in people I had never met? Being a person with these abilities has been both powerful and exhausting. This ability can make life have deep meaning but the pitfalls of being an HSP are many and it takes a great deal of introspection, self-trust and self-love to fully accept our true nature as highly feeling oriented beings. Upset stomach - from the gut being in the state of Flight or Flight continuously. IBS – the nerves of the gut – the Enteric Nervous System -is on hyper drive which can either hold (constipation) or spasm the colon. Indigestion – because the nerves are creating stress hormones, the body cannot fully digest and issues of GERD, or severe bloating and gas can occur often. Hormonal imbalances – Cortisol and Adrenaline causes spikes of Estrogen, which can lead to weight gain and adrenal fatigue. Sleep issues – because the body cannot relax fully, it can be difficult for the body to move into Alpha/Delta/Theta sleep for repair. Addiction – using substances or actions to numb the self to all the emotions can be a way to numb from the pain and intensity of life. We are unique and special people as empaths and feelers. We are needed to use our emotions of compassion, insight and empathy to help others including to ourselves for a deeper connection to our higher self. If this resonates with you, understand that this is a unique quality that cannot be changed. This is who you are and should be honored and developed into a strength and skill. Remember that you will need help physically as the gut takes the majority of the internal stress and you will have physical imbalances with your sensitivities. It just comes with personality. As someone who has these abilities of insight and great depth, I can help you navigate a way to fold into your softness and still shield yourself from energy vampires. 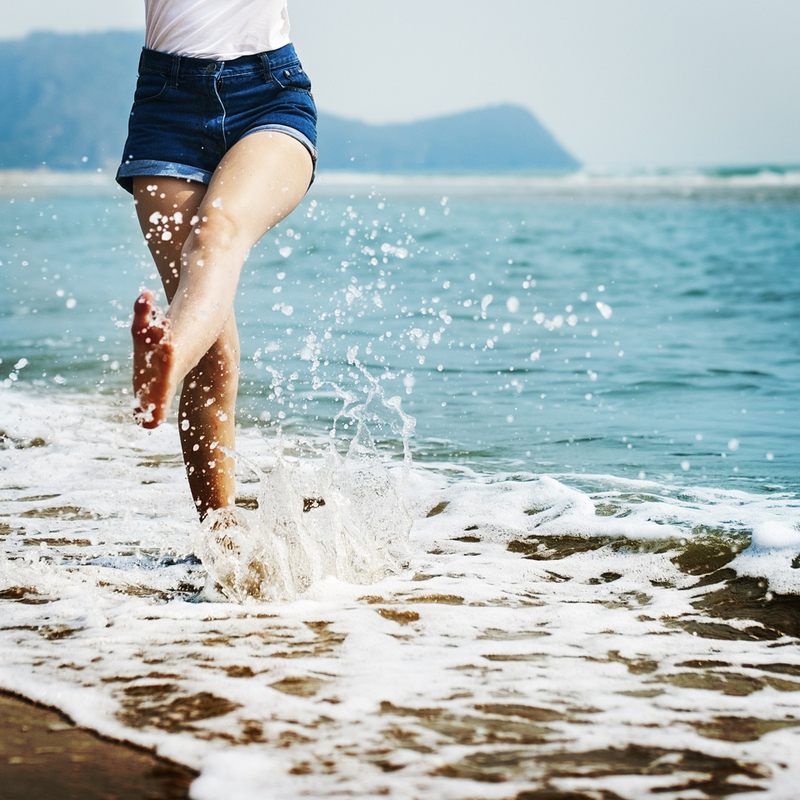 I’m here to help either your gut through Colon Hydrotherapy which moves the gut into a Para-Sympathetic response or seeing me for Soul Coaching in which we move the energy into acceptance and protection. I now use my abilities to hold the space for others and am in service to all of our healing here in human form – HSP is a gift and can be developed into a beautiful appreciation to be alive. Book a service here. Looking forward to seeing you soon little unicorns! Hi fellow Angelinos! Now that we’ve gotten past all this dreary rain- let’s get things back on track! I’ve been busy finishing up my “At-Home-Detox” and will roll it out soon, so get ready to cleanse in the Spring! Did you know that this past February is the first month in in history that it has not been above 70 degrees in this month since weather reporting? Therefore, detoxing has not been on my mind as much as it has in the past. It’s been cold! It’s times like this that consistency in your health is important. Relaxing, being inward, exercising, meditation, connections, dinners at home as well as a consistent healthy diet will benefit you in the future and when you’re ready to do a cleanse it won’t be such a jarring experience. If you’ve gained a little weight this winter – don’t worry! The spring will bring you ways to clean the Liver naturally and get you releasing anything you’ve gained. Hang in there until the warmer days when the body doesn’t hold on as much. Remember that the definition of “detoxification” is opening the pathways of the body to eliminate. Breathing, sweating, urinating, and defecation are natural ways the body continues to release waste. Adding in mega amounts of nutrients and expediting the detoxification process with external modalities (saunas, colonics, breath work, massage, etc.) is the true way to heal from any condition. Food restriction and a low calorie diet is an old way of thinking of detoxification of the body. We know more that we did when I got healthy over 20 years ago. Here’s a quick guide to my 5 top tips for Digestive Health. It’s about progress, not perfection and knowledge is the key. Hope to see you all soon as we move into spring weather – yay! Chew your food well. Often we are eating a random times and in a hurry. Your system is run by hormones and is sensitive to changes in our circadian rhythm of the body. We need to eat and sleep at consistent times during the day. . When eating, take breaths to lessen the stress hormones. Chewing allows enzymes in the mouth to begin to break down macronutrients to restrict bloating and help absorb nutrients. Look for signs of mal-absorption. Imbalances in the body will reveal themselves to tell you what’s going on…rashes, bloating, constipation, irritability, fatigue, PMS, cravings, etc. These are all signs of something deeper happening. You may have underlying issues that are driving your symptoms that need to be addressed. Work with a holistic health practitioner to help you reveal your core issues. Eating seasonally and locally. If you haven’t been to your local Farmer’s Market recently, now is the time to go. See what is in season and watch how it changes through the year. This brings you in touch with the balance of nature and helpful in your overall diet choices. Try some local honey to bring in the flora from your area to help with seasonal allergies. Hydration. Drink 4oz of water at a time for better absorption. Drink structured water and eat cold pressed oils to keep the body hydrated and supple. Tap water contains fluoride, which calcifies glands in the body. If you’re feeling dry, eat foods that contain water – tomatoes, cucumbers, lettuce, etc. and the body will use the precious water to help flush the cells of the body. Detoxification. Liver cleanses, sweating, deep breathing, dry brushing, colonics and good thoughts help the body function optimally and leave you the energy to live a full and beautiful life. Probiotics are a wonderful addition to attain good health! It may be absorbed in the form of a supplement, kefir, kombucha, cultered veggies, etc. But, here’s the thing - many people are compromised in the gut and therefore have a hard time colonizing Probiotics because of Leaky Gut, SIBO or anything affecting the gut lining. I learned of a new kind of SPORE BIOTIC that is the first FDA approved spore technology to deliver cultures in SPORES! They are indicated specifically for anyone with an AUTOIMMUNE ISSUE. I’ve been using them for a year along with my 200 Billion probiotics and find I have less bloating and more balance in my gut. I now sell them at my office and recommend you try them if you feel you need support for your immune system. Have you been inundated with all the social media pushing a cleanse and detox in January? It can be frustrating to get through the holidays, get thrown back into work and then try to get your food plan back on track all at the same time. Detoxing should be a gentle and healing process. Eating yin, cold and restrictive foods are not in congruency with the needs of the winter months. So, let’s rethink this extreme cleansing idea! We are in the season of Winter, traditionally a time to eat preserved food, enjoy warming spices, going to bed early and staying warm inside our homes. Energetically, it’s also a time to go inward and explore your inner world. The old mentality of a strict juice cleanse is a challenging choice given that the natural body clock is in a dry and inward state. Most of my clients think that January is my busiest month, but actually it’s February, when we can all begin to breathe again and refocus our attention onto feeling better. Everyone I’m seeing this month is just trying to clean up the gut damage from traveling, schedule changes and foods that aren’t optimal. We are all in the same boat! Hang in there. This month, focus on getting your schedule set with sleep and exercise while having balancing, wholesome and warming foods. Trust that you can do a cleanse in the months ahead when you have regained the energy you need to come up with a healing game plan. Instead of restricting your food, it may be more beneficial to take this time to be quiet and ask some internal questions of what you’d like this next year to be like for you. Maybe you would like to complete a project (Hello closet!) take a class or focus on dating in the New Year. Discover what your heart is yearning for by checking in. One way to do this is by left-handed writing. Write questions about your hopes and dreams with your dominant hand and give enough space between questions to answer later. After writing your questions, go into a meditation. Gentle music can be helpful to take you to a light-hearted space in your mind. When you’re feeling deeply connected, write the answers to your questions with your non-dominant hand without thinking. Let your hand just freely flow, without a goal. Stay in that meditative state and just breathe in the present moment. Later, when you’re ready, read the answers to your questions. You will be amazed at your level of truth. Sometimes the answers are about the need to leave a job or relationship, putting more play in your life or letting go of a habit. Explore and take yourself on a mental adventure. You owe it to yourself! So, while January isn’t the best time to cleanse since jumping into a strict eating plan can be stressful, take this time to relax and unwind from the holidays and be patient about your food choices. When February comes, you’ll be more than ready to focus on a whole food cleanse, an elimination diet or a new meal plan. Let your body dictate when it’s ready and let’s all get through these cold nights taking care of ourselves. You can trust that in the Spring, the Gallbladder will start it’s cleansing process and letting go of any weight added during the cooler months. Cause that’s how it works – in perfect harmony with Mother Nature. If you're looking to clear out the holidays in January, it's critical to get that hydration! Come see me for a colonic which is one of the best ways to get hydrated. And look for my cleanse program coming to you next month when it’s more likely that you’ll be ready for a cleanse! Hope you all had some good time off and are feeling inspired to get into Balance…I’m here to help you get there! In the Spin of the Holidays – use ENZYMES! Hi guys and welcome to the season of gluttony, travel, bellyaches and imbalance. While it’s also a time to celebrate with friends and family, it can really spin those of us who are sensitive feelers and healthy eaters. So, what to do if you find yourself at a holiday party or at your family’s home that doesn’t have what you normally eat? Here’s a game plan to make the most of the holidays and survive those meals that would normally take you down and out. First, whenever going to a party and you’re not sure of the food situation, consider eating before you go out so that you don’t nervously eat foods that will wreck your belly and will leave you in a food hangover. If you are obtaining from alcohol, you may want to bring your own bottled beverage in your purse (juice, health tonic, kombucha, etc.) that you can enjoy. After you arrive, pour your beverage in a wine glass. Nothing makes people more uncomfortable than if you tell them you’re not drinking. So, let’s accommodate them and take care of ourselves at the same time. You can even bring some snacks to have to munch on that you know are safe for you. Again, be discrete and don’t make it a big deal. It can get hairy if you’re pulled into a whole conversation about your eating habits. Now, Family can be a bit more challenging. You may be staying in a family member’s home and they eat completely different than you do. While I’ve discovered that asking to send groceries to their home the day before arriving is helpful, inevitably, you’ll be somewhere that you must eat what is served. Make sure you travel with some key supplements that will get you through these crazy holiday meals without suffering. 2. Take HCL with any meal that has protein in it. Hydrochloric Acid capsules supplement the acid in the stomach where protein is broken down. During stressful times (AKA family dinners) the body will produce less HCL and the protein will not be fully metabolized and you’ll feel heavy and extended. Do not drink water with your meal as it dilutes the HCL and makes digesting protein harder on the body. Drink sips 20 mins before or after meals. TAKE DIGESTIVE ENZYMES! These are key – even in your normal day-to-day eating habits. These can be game changers if you get bloated/acid reflux/indigestion or gas after a meal. Broad-Spectrum Pancreatic Enzymes are key to unlocking nutrients in food in the small intestine. I sell ULTRA enzymes, which take food basically down to a liquid and go through your system easily and gently. I took almost an entire bottle over Thanksgiving. You can buy them here. Another consideration is food combining. While I’m not always great with this myself. I do know to allow quite a bit of time between a main meal with heavy protein and a sugar-laden dessert. In a perfect world, we would eat dessert first because sweets go through the system much faster than more dense protein and starches. Lastly, if you’re overly full and bloated, taking a capsule of activated charcoal will absorb the gas and then at least let you breathe while you finish digesting. If all else fails, invite a love one to rub your little belly right to left in a circle to soothe the intestines while you lay on the couch. So, there you have it, key supplements to have while you’re traveling. Good luck out there guys! I’ll be right there with you doing my best going into the New Year feeling great. Want to book a colonic to feel great for your pre and post-holiday festivities? Book now! 20 years ago when I started in this field, I only knew the word parasites connected with gut issues arising from travelers to foreign lands. Holistically, there were other gut issues that were more important like, IBS, Constipation or Candida at that time. Now, it’s a conversation I have every day with at least one client. We are at a level of gdysbiosis that is at critical mass. I am being referred to from Holistic/Naturopathic and Functional Medicine Doctors to assist their patients with lab affirmed parasitic infections almost daily. The word Parasite comes from the Greek word, “Para” meaning beside and “Sites” meaning food. It is defined as “an animal or plant that lives on or in another organism from which it obtains nourishment.” We can get them through food, water, vectors, sexual contact, nose or the skin. Of course the most prominent way to get an invader is through international travel where our gut bacteria cannot process foreign microbes and we begin to have symptoms of infestation, which can include: constipation, diarrhea, gas, bloating IBS, joint and muscle aches, anemia, acne, allergies, skin issues, granulomas, nervousness, sleep disturbances, teeth grinding, chronic fatigue and immune dysfunction. Whew, that’s a lot of symptoms. In all reality, parasitic infection should be considered if you have no other reason to have these health issues or symptoms. My practice is now full of clients with these issues and instructed by their doctors to do a parasite cleanse. So, what’s happening to us? In our usual, healthy state, we have high Hydrochloric Acid in the stomach, high enzymes in the small intestines and lots of good bacteria in the large intestine keeping everything in check and critters at bay. In the reality of our times, we have low stomach acid because we are eating quickly and sporadically, low enzymes from processed foods and little to no good bacteria in the large intestine because of the lack of replenishing microbes and stress that lowers the immune system function. Because I see beautiful, conscious and healthy people, eating well, exercising and taking care of themselves, I must assume that it’s what we are eating that is making us vulnerable to parasites. A diagnosis of Parasites is often is paired with other issues such as SIBO or Leaky Gut which leaves us open to outside microbes. Could the fact that we are eating GMO foods (unknowingly because there are no labeling laws) and chemicals like Glysophate (known to disrupt normal gut function) that is standard in this Country be disrupting our overall health? My belief is that we, as a Nation, have low-grade inflammation in the gut, impaired microbe population, gut infections, and permeability, making our intestines available to parasites. A herbal Parasite cleanse will have the person on herbs for 15 days and then break for 5 and finish with another round of 15 days. Try and get your colonic during the 5 days off (when eggs are hatching) and then another at the end. Watch for changes in your stool as you may see dramatic material passed from the herbs. I cannot diagnose or determine if you have parasites. Most species are microscopic but can still do damage if left to proliferate. So, if you suspect that something is “off” get it checked out and get on a cleanse sooner than later. Let me know if you have any questions. I’m fascinated about this subject and have an amazing Parasite cleanse that is gentle, yet effective. If you will be traveling over the holidays, take a supplement of HCL when eating suspicious foods – it will help destroy anything in the stomach before it gets deeper in the body. Blessings! Hope to see you soon. Interested in booking a colonic now? Schedule here. Now is the Best Time to Cleanse! Can you feel the shift in the weather? What you are drawn to eating? Are you seeing the new kinds of foods available at the markets? Have you been getting to bed earlier with the shorter days? I can feel it too. I’m from the East Coast, so my body naturally gets on board with shifts in the seasons. Yet even here in SoCal, I can feel the subtle shifts in my body when Fall arrives. I start to crave potatoes, soups and heavier foods. I want to tuck in more at home. I’m drinking more tea at night. This is all part of our natural circadian biology. We change with the Seasons…mental temperament, physically and emotionally. When we are clean and in balance with our health, our bodies shift with the tides of Mother Nature easily. One goal in our health should be to try and eat seasonally and locally. If you can get out to a local Farmer’s Market, you will see a bounty of squashes, grains and hearty vegetables now for the Fall. Eating foods from this local region will put you in balance because it’s what your body needs at this time of year in this area. The crops available now will give us more calories for the Winter ahead and a sense of feeling grounded – as in – “from the ground.” (Onions, leeks, potatoes, etc.). We will emotionally turn a bit inward and slow down this time of year before the short days of winter. You may want to put your strict ideology of your diet away for a month or two before Winter and just eat what is available at your local Farmer’s Market without eating produce from the store that has been shipped from overseas in regions with opposite seasons. Better yet, consider this for one year: sense what your body desires in this season. After this winter when you’ve had all the sweet potatoes, soups, beans and winter greens you can handle, you will start to crave bitter greens and astringent flavors that strip the liver of any buildup over the winter and prepare the body to let go of weight in the spring. In the summer, you’ll desire high water foods, light salads and fruits for the warm days. Beyond feeling less stressed about what to eat during the year, you will feel led and nourished. You’ll trust that your body has what it needs at the right time of the year. Ladies, you’ll get your period regularly, you’ll lose weight, you’ll sleep better and your hunger will diminish as you slow things down and pay attention to what your body is asking for. It’s a whole new world in this space of knowing. At this perfect time, now, in the first days of Fall, I invite you to think about a little cleanse. It can be a colonic, a food cleanse, cleaning your pantry, a news detox, cleaning your closet, adding bone broth or green juices to your diet, a liver cleanse or even a parasite cleanse. Anything that will attune you back into yourself and prepare you for your year ahead. Personally, I just finished a 9-day cleanse, which was 2 days of raw, uncooked foods (sprouts, seed blends, veggies, etc.). 4 days of green veggie juice, 2 days of live foods and raw soup on the last day to transition. This 9 days was at the end of a month of clean eating. I started my cleanse grumpy, not sleeping well and bloated. Cleansing is not the easiest thing – you’re changing your physical body. Yet, bringing in live, high enzymatic, and high water foods helps me lift the veil of this reality and allows me to connect with my higher self who is wise, unafraid and lives in a state of gratitude. It’s a process to get to this mental place and by day 4 of my juice cleanse, I woke up having cried in my sleep as I let my ever thinking mind relax and allowed myself to dwell in my heart. Letting go of the guard I keep up consistently. In the softening of vulnerability I could see the perfection even in the problems of my life and shift from feeling sad about some issues at hand and move into a place of acceptance. I can truly say two weeks later, that I am still living from that beautiful cleansed state of mind. I know we all don’t have the chance to step out of our lives to drink juices for a week, but doing something for your body that helps it in some way transition into this new season ahead will benefit you greatly. I have adopted a new habit of listening to gratitude meditations and have found my heart is more open to others when I get to work. It’s like recharging the batteries! The upcoming Fall and Winter will bring A LOT to you in food, family and fun but if you take a bit of time during the transitions of the season, you wont be feeling depleted by January 1st – the dead of Winter and the worst time to put your body through a detox. The best time to cleanse after Winter will be in the Spring. I like and sell an amazingly effective Liver and Parasite Cleanse (consider if you have pets or kids) that are gentle, yet help shift the body into health. I am doing the Parasite cleanse at the moment and it’s so interesting what I’m noticing. You can find the cleanse on my website shop here. Just scroll down to ParaGone Parasite Kit, click on the title and it’ll be added to your cart. At the very least, get a colonic every change of season. This is a must. I advocate a Colonic every month for sure, but 1 every 3 months is mandatory to help release the liver, hydrate and help the body transition with the season. The Native American Indians taught us that about cleansing and I have followed this path for 21 years now because I never want to go back to feeling so disconnected and discouraged about my health ever again. I want sustained, natural energy, mental clarity and good judgment, to be open hearted and to know myself and my body in this lifetime. We all just have to take the time to maintain and support ourselves in the best way we know how to do! Blessings to you all! I hope to see you soon before the days get longer. I’ll help you get ready for the months ahead and get you back on track. Start by scheduling a Fall Colonic! If you’re worried about your weight, you are NOT living your hopes and dreams. Your energy is being leached out by the internal message: “I’m not enough,” “There’s something wrong with me,” or “How do I fix myself.” If you are carrying extra weight on your body, you may be also sending yourself negative internal messages almost constantly that’s keeping you trapped and away from more important health issues. Weight is a byproduct of imbalance in your body. It’s that simple. It’s not what you eat or how much you exercise. It is a deeper issue in your health that is keeping you from losing that stubborn weight. Your body is trying to protect itself and hold onto fat and give you the message for more calories. Every day, sometimes all day, I see women who are on a diet, cleansing, doing Paleo or killing themselves at the gym. They are obsessed. 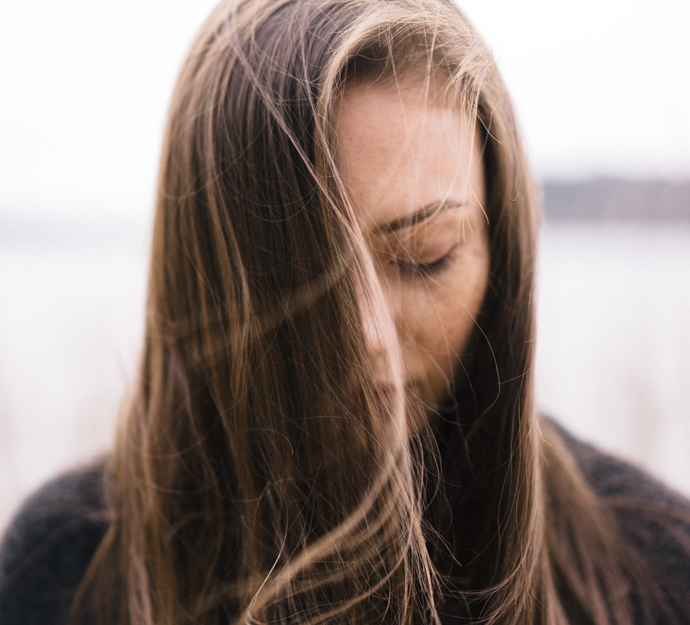 When I begin to talk about how hormones can affect their weight, including adrenal fatigue, thyroid issues or how the flow of their periods can tell them about their health, I’m often met with a sigh. It seems almost easier to worry about having a kale salad instead of fixing their leaky gut. I TOTALLY GET IT. I’ve lived that way for almost 50 years. But now I know the truth about weight gain. Ladies, if you are moderately stressed, you are in flight or fight. Even if it’s mild and consistent stress, you are in a Sympathetic (stressed) state. You will not digest properly because your body thinks it’s under attack. You will be bloated, you will be constipated, you will be unhappy. You will keep the weight. If you are not sleeping and your body does not go into repair mode…you will not lose weight. You must allow the body to go into a PARA-SYMPATHETIC state in order to have the body cleanse all organs at night (going through the Circadian Cleansing Cycle). This is a key component of weight loss. The body must perceive that everything is okay and that you can rest deeply. If you are focusing on the perfection of your food intake, it’s like worrying about putting premium gas into a car with the engine light on. You must address your lifestyle and health issues if you want to lose weight. You must look at your LIFESTYLE – how you are eating, spending your time, love relationships, family, etc. and take the focus off the perfection of what you put in your mouth. There are many ways to review the cadence of your life, but where I like to start is with my morning routine. If things have gotten off track and life begins to spin wildly, I have to come back to center by looking at how I construct my days. How you start your day is important. How do you want the beginning of your day to look like? What if it’s having your morning beverage and sitting on the couch or in bed and listening to positive affirmations on You Tube or listening to meditation music, calming your body before things take off. Eat whatever makes you feel good. Protein, carbs…it doesn’t matter. If you’re putting it into a calm body, it will digest just fine. Before leaving your house, maybe writing in a journal for 10 minutes about your thoughts or prayers. Put them on paper or in your computer and take some deep breaths to bring your cortisol down. Take a different route to work to keep your brain interested and maybe have a small ritual when you get to work. I say a prayer and ask for guidance and put essential oils on my heart. Because I have a tendency to have anxiety and worry, consistency in a daily routine keeps my nervous system calm and I’m not rushing into my day. Try your version of a new, calmer morning routine for a week and I guarantee, you’ll be less bloated and less stressed by the weekend. Also, look at the end of your day rituals before going to bed, like asking for guidance in your dreams from the universe, prayer, letting go and taking some deep breaths. Anything to tell the body that you’re in charge and that stress will not win. Get sunshine. Vitamin D is important to your immune function and we cannot be well without it in our body. So, leave your office with its fake lights and fake air and go outside for break. This will also start regulating your hormones so you get your period at the exact same time every month. Eat Consistently. If you are hungry at night, you are not eating enough during the day or the body is so stressed, it’s telling you to eat calories. It’s important to get into balance so you eat the same time everyday. This is KEY to weight loss! Ground Hog Day eating! Cleansing. You know Colonics get the gunk out so you can get back on track. Do a series of 3 every once in a while to detox the Liver. We, as a culture, now know how important this is and how unnatural we are living. Help it get what it needs. One a week for 3 weeks while you get the rest of your health in order is a healthy goal. Napping. Rest during the day and allow the body to relax into chill mode. It’s a beautiful thing to just lie down after work at home and do nothing – even if it’s just 20 minutes! If you’re in a period of stress in your life, do less, not more. Step back from intense exercise and focus on bringing down your nervous system. This will help you in the long run so you don’t put on more weight. On a personal note, I have struggled with weight my whole life, as many of us women have and I’ve realized how much energy and self-love it has cost me over the years. This past year I finally got my health together and made some changes. I noticed that whenever I was on vacation, I could eat whatever I wanted – I never held back and I would lose weight every time. I understood that it wasn’t what I was eating, but how I was eating – without stress! After fixing a few hormonal (Thyroid issues) I was having, I decided to do an experiment and eat without stress in my daily life. Now, every night, my guy and I make a lovely meal and sit together by candlelight without music or TV. After a year, I’ve maintained my ideal weight without trying, without exercising, without any conversation about carbs or protein. Just finding rhythm in my life has completely taken the thought of weight out of my life and I can’t believe how free I am of that burden and how wrong I had made myself. So, look at your life, how are you feeling overall? Try and create more time to relax and tell the body it’s okay. If you have health issues, clear them up and make sure sunshine, love, joy and happiness are your focus and not your weight. Once you let it go, you will be free to be okay with who you are. We’ve all taken our car to the mechanic with the engine light on only to be told there are 10 other big issues that need to get fixed right away. I find going to a Western doctor can have this same experience. I’m here to tell you the truth on how the body heals. I know this because not only have I seen it with my incredible clients – I have saved my own life. Going to the doctor and hearing bad news can send you down a rabbit hole of fear and panic. Here’s a short list of some natural remedies that will get your power back and taking control of your health, no matter what your health condition. You, first and foremost, have the power to heal. This past month I went in for my yearly check up for my lady parts only to get a call a few days later telling me that I had abnormal cells and that a biopsy would need to be done right away. I immediately started to sweat and panic. My Grandmother had Uterine Cancer and had to undergo a complete hysterectomy. My mind went to the darkest place and I saw myself having the same fate. I went home and sat silent for several hours regretting choices I had made about partners, not taking better care of myself…you know, the whole mind game the Ego likes to play with us. It was scary and lonely with all of the weight of what was ahead of me. After a few days of darkness, I started to feel a spark inside. Wait, I know how the body heals. I know it will never go against me, I know what it needs to heal. So, in a much more enlightened place, I’m sharing this knowledge with you and hope you can empower yourself when you get bad news about your health. We truly hold our healing power. 1. Sit quietly and gather your thoughts to get on the same page with your healing path ahead. Start making a game plan and understand it’s not about “fixing” the problem, but merely moving into a space where healing can take place within the body. 2. Look at the stressors in your life. What outside forces are driving your imbalance? Working too much, a relationship, obligations, family…try and step away from anything that is pulling on your energy and move a bit slower in life to become more present. 3. Get 3 Colonics in one week. Hydration and clearing the liver will jump-start your body to go into a healing state. Familiarize yourself with coffee enemas as well that clear the liver quickly. 4. Go to bed early. The body can only heal in a restful state. Think positive thoughts before lying down and tell your body to please heal itself while you dream. 5. Start alkalizing your diet. Nothing drastic…just add chlorophyll, a green smoothie, lemon water, minerals, etc. that will help mitigate the acids in your body. 6. Oxygenate. If you can, try and use a Hyperbaric Oxygen Chamber each week to oxygenate your cells and kill off pathogens or bacteria. If you do not have access to this, try to get to the beach or mountains to get fresh air and negative ions from the earth. 7. Body Brush each morning to move your lymph system. You can also stretch or walk to move stagnant lymph in the A.M.
8. Look into Ozone treatments. Ozone kills bacteria on contact and is now being used through an IV or into the body directly. Glutathione IVs are also helpful for liver detoxification and are often used in conjunction with ozone treatments. 9. Self-Reiki. If you’ve ever had energy work from someone, you know we humans have power within us. Use your own hands over your healing site and tell it you love it and that you will help it heal. This can be a beautiful experience of self-love. 10. Breathe. Deep breathing tells your body to switch out of fight or flight and relax. Shallow breathing keeps the body on alert and not healing. 11. In-Far-Red Saunas. Powerful heating inside the body to move stagnant matter through the skin by sweating. 12. Look at the Korean Modality of a “V-Steam” or an “A-Steam” for internal issues, especially for women’s pelvic floor or abdomen problems. 13. Consider a fasting retreat that involves raw food/juicing/colonics. Spend time writing, doing yoga, breathing and detaching from stress. 14. Eat more LIVE foods, which contain water, enzymes and minerals to heal faster. 15. Work with a caring Naturopath, Functional Medicine Doctor or another Alternative Medicine practitioner. Instead of conventional medicine, you can use herbs, tinctures, anti-virals, essential oils and probiotics as well as many other modalities that can target your healing. Trust that you have all you need to heal and that it’s all going to be okay and that you are strong enough to get through anything. Be your own best friend. Addressing the issues from the Mind, Body & Spirit Perspective can help you reconnect to your self and get you present in the truth of your own healing path. The best to you all and may you have a beautiful summer. I’ve been traveling extensively for the past 26 years, and a lot of it has been challenging to my overall health issues of chronic constipation, general indigestion and hormone imbalance. Over these years, I’ve healed many of these problems but traveling can bring the issues back, so I’ve created a game plan that has been helpful and wanted to share them with you! Maybe you’ve had some negative health experiences on a vacation only to find yourself wrecked upon coming home. I know how you feel, but it doesn’t’ have to be that way! The goal when traveling is to enjoy your time and mitigate the challenges that cause imbalance in the body. Why not feel awesome before, after and during your trip, which hopefully includes some down time for yourself! First, a few days prior to traveling start on a powerful probiotic. I use Advance Naturals Ultra Critical, 200 Billion. It’s a 14-day course of strong, full spectrum probiotics that will help your immune system fight any foreign bacteria that could make you sick while traveling. 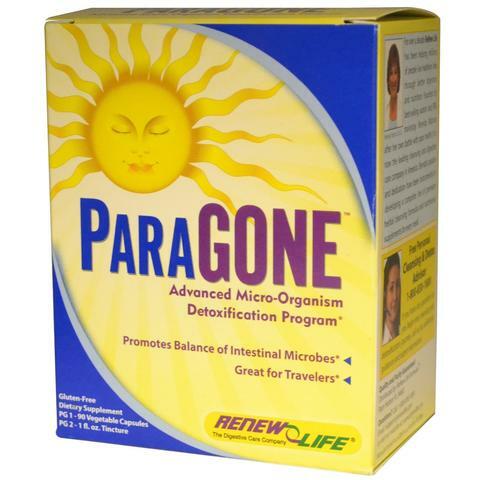 You can take this product with you while you’re away in order to strengthen those microbes in your belly. If you have an Autoimmune Condition, I sell an FDA approved, well studied, Spore Biotic, a uniquely patented spores of good bacteria for those of us that have underlying gut/immune issues. I also recommend taking a strain of yeast that is very important in the gut to fight against pathogens. It’s called Saccharomyces Boulardii and if you're going anywhere with questionable food, you definitely want to make sure you have this in your system. I test all my probiotics for effectiveness and these products can be a game changer for overall immune health. Next, get a colonic right before traveling. The hydration alone will help with jet leg and bloating that occurs from the flight. It will also help you go into your trip clean and assist your belly to deal with the different water and food (microbes) you will experience at your destination. If you’re going somewhere with a significant time change, consider taking a pure Melatonin that will help you get onto the correct Circadian Rhythm when you arrive. I personally take and sell a very unique product called MZS by Dr. Pierpaoli, which ships out of Italy. It’s the purest form of Melatonin with zinc and selenium for better effectiveness. It’s helpful to take this product throughout your trip if sleeping is an issue for you while traveling. The best part of foreign travel can be all the fun and exciting food you’ll get to try! Try and remember that your gut has never had many of these foods before in your Microbiome. Managing these incoming forms of bacteria can save you from diarrhea, stomach aches or bloating. One rule of thumb to remember is all foods have the potential for parasites and negative, foreign bacteria. Typically when traveling, your immune system is naturally low so some foods can take you down that normally wouldn’t affect you at home. Therefore, I take 2 capsules of HCL to rid any potential parasites in the stomach before they go into the intestines. I sell the best Hydrochloric Acid (HCL) by Premier Labs. It’s just that added layer of help to aid digestion, especially proteins and protect yourself. In addition to HCL for the stomach, adding a potent, complete digestive enzyme is helpful. I carry one by Advanced Naturals called DigestMax because of its high number of enzymes to break down carbs, proteins and fats. Think less bloating after meals! If you have strong digestion, it’s helpful to eat a myriad of foods to build the diversity in your microbiome. Last year when I went to Italy and France, I ate all the bread, pasta, cheese and wine I could and I came back feeling better than ever, because I got out of my normal food regime and let me digestion have a field day with clean, whole foods giving major diversity and microbes! I’ve felt great ever since! Many of us are, unfortunately, afflicted with constipation while traveling. This can be because the body is off rhythm and perceives it to be in danger or stressed and the enteric nervous system in the gut slows to a crawl. It’s a bummer. For the last 20 years I’ve traveled with ColonMax, by Advance Naturals, the correct magnesium, formulated just for the Colon. It’s helped me not be grumpy and it gets me to the restroom everyday. Halleluiah! Finally, get a colonic upon returning home. Get your system rehydrated and back on track ASAP so you can get back to work and back to your regular eating habits. I always feel better when I’m clean going into my trip and want to get back to normal quickly once I return. I hope this helps. I know it’s a lot, but when you have tummy troubles, it detracts from your overall travel experience, so be proactive with your health. I’m here for you always. Book a session and come in with your health struggles & stories – I love it! If you're interested in any of the supplements I mentioned, pick them up at your next session or buy them from my website. (They're at the bottom, after Services). Howdy Folks! Are you feeling the need to cleanse? You’re body is producing a lot of bile from the Gallbladder right now in the Spring, so keep eating bitter greens and healthy foods to keep it all moving well. By this point, you know my definition of health minimizes the focus on food and exercise and relies more on information of stress load, hormone balance, cravings and most importantly, SLEEP! A couple years ago I found myself up all night at times and out of rhythm with my sleep patterns. I had been with a partner who snored loudly for over two years, and I realized I really wasn’t getting deep, REM sleep. As you know, we ONLY REPAIR WHEN WE SLEEP OR ARE IN A PARASYMPATHETIC STATE OF RELAXATION. Therefore, I wasn’t repairing my body and started to crave fats/sugars (glucose) and gaining weight because my body perceived I was in danger and it went into protection mode. It took me several months to get back on track, but this month’s article shares with you the ways you can start sleeping and repairing your body with little effort. Remember, the body loves the same schedule everyday. If you can give your body the message of balance, it will reward you with energy and beauty. If you have sleep issues, consider doing an easy cleanse for your bowels and liver and do the suggestions in the article to get you back on track and start feeling better soon! Sorry guys, this one’s for the ladies out there. Gals…it’s time to get real. It’s time to talk about uncomfortable topics, like our bathroom habits, life’s pitfalls and our coping tactics in life. No more feeling stuck; grab a female friend and start talking about REAL STUFF! and many more intriguing and introspective questions. I see that we need answers and the ability to ask the questions without being shamed or given the wrong advice or opinions. I’m hearing that there are limited outlets to really get to the nifty gritty of our embarrassing questions. My life’s purpose is driven by the desire to connect the sisterhood of women and help us feel fully actualized, healthy and validated. We live in a world dominated by the need to compete with each other and I can only sense that this drives women apart and makes us feel hopeless. So ladies, Bring me your questions – no matter what they are – bathroom habits, weird rashes, yeast infections, periods, relationships and your insecurity. You’re safe with me. I encourage all of us ladies to listen to each other without judgment, criticism or advice. Listen from love in your heart and know that we are all doing the best we can and we could all use a little encouragement and some good old fashion venting with some real feelings behind it– raw and deep. Find someone who loves you unconditionally and start sharing. This brings us back to each other – connection and care. It’s time to drop the back and forth of conversation and just listen. You’ll be amazed how good you can make someone feel by just hearing what they need to say. Thank you for giving me your stories over the years and letting me share mine. My dream of connecting and helping women truly fulfills and heals me and I have been blessed with some awesome soul candy ladies over these years. I know you’re one of them. If you’re feeling a little directionless or need a boost around your diet, book an appointment for a ½ hour Nutritional Consultation to review your optimal diet. If maybe, you’d like to share in a place of deep safety and love, book an appointment for a Soul Coaching Session. Both are helpful depending on what you need. I look forward to hearing from you and have a Happy Spring! While I would love to offer some inspiration on Self-Care for the month of February, I have to address one issue I see everyday in my practice, which is the constant bloating in clients that eat well, exercise and have great self-care practices. So, I decided to give you some insight about that little belly of yours. Hopefully, it can shed some light on why you may be struggling with that pooch on your mid-line. Let me know what you think! we need information and encouragement to deal with –our bloated bellies. manage our lower belly bloat that is keeping us miserable and in self-judgment? overall digestion and one that will not go away on it’s own unless it is corrected. So, let’s dive in and talk about the gas and bloating that you may be experiencing. you in your overall health. digestive system in the early morning each day. Obviously, in contrast to this ideal, our lifestyle today plays a factor in our overall health. Ask yourself when you notice bloating discomfort in your lower belly? that will show up as a larger issue at some point down the road. uncomplicated meals in order to give a needed break to an overtaxed digestive tract. bloating will not be a factor after meals. when the belly hardens and expands outward with out air exiting the body. breaking Fats into smaller molecules. composting of undigested food trying to make it through the delicate digestive process. of the moon, we can also swell during a full moon. It’s ideally the time when a woman has her menses, being in harmony with the cycle of the Solar system. Notice if the bloating fluctuates from the ovulation point of your cycle and through your menses. This is normal and will lessen as estrogen levels fall after bleeding. Constipation can also be an issue at this time because with a rise in estrogen, bile flow from the gallbladder slows, adding to the already annoying belly expansion. Get Colonics to help move trapped air! fluid retention. Sweat/move daily for circulation. fennel, dandelion, parsley and Grapes. 500ml of Magnesium, 440 ml of zinc, 25mg Vitamin B6 and 800 mg of Calcium. the lower abdomen on an as needed basis. Swallow whole seeds with water. Direct heat on the abdomen through a heating pad or a hot water bottle. Castor Oil Packs on the lower intestinal area. Magnesium spray or Epsom salt bath. Belly rub right to left with room temp coconut oil. outside object of food to become eventually what makes up your hair, skin, eyes, teeth and every other part of the human body. Your system is unique to you and if you feel something is “off” learn the steps in correcting this for yourself. Understanding digestion is a part of our responsibility to owning this human form. Experiment a bit with healing your belly blues. In no time, you will notice positive changes and YOU will have done it all by yourself! Time to take back your inherent wisdom and intuitively learn to heal yourself! In the meantime, I’m here for you every step of the way! The best in health and spirit! can be hard when you’re busy surviving life. hardship I needed to revel in the gratitude of what I have here in my day-to- day life. part, finding your joy that brings your life to LIFE! relationships are non-existent as they put all their energy into their career. we can learn from any given situation we are handed. find you often in 2018. How it all begins… You know when people say we, as humans, came from the Sea? Well, if you think about it, it’s true…we spend 9 months in-utero living in sacred plasma, immersed in protective water, gaining nutrients directly into our intestines by our Mother. This plasma is created by the Mother’s body, therefore that “Sea” is only as nutrient-dense as the Mother’s diet is. As the Fetus grows in this milieu, it may need nutrients that it’s not getting and the fetus will automatically pull these nutrients out of storage from the Mother ‘s cells leaving Mom to feel “depleted” or “tired” during her pregnancy. This can be very prevalent when the baby’s Adrenal Glands are being formed. Also, if a Mother’s body is overly toxic while growing a fetus, the body will create “morning sickness” to rid itself of heavy metals and pollutants to be brought up in the morning. After the Liver cleanses from 10pm-2am nightly. The wisdom of the human body is remarkable! When my twin sister was pregnant with her first child, she would tease me and tell me that she ate a whole box of Captain Crunch knowing I would be upset at the risk it put for the child (Sugar is a neurotoxin for a baby). I would yell, “You can’t grow your baby’s brain of Captain Crunch!” But this scenario is played out everyday, as many Mothers-to-be are confused on what is best for a growing fetus. In General, many people don’t know how to eat instinctually anymore or what to ingest while growing a life inside. Some of most important nutrients for a growing fetus are Essential Fatty Acids, mainly, EPA & DHA for brain development. Unfortunately, many children are getting the wrong kind of nutrition and we are now seeing in-utero babies with tumors and anomalies in their bodies because of the choices the Mother’s are making. (See the famous study of Dr. Pottenger’s 9-year Cat study to give insight on the generational health breakdowns because of diet). After gestation, the baby starts to give signals that they are ready to come into the World. The body begins to produce hormones to start contractions in the Uterus. This begins the surge of Oxytocin to the Brain (The Love Chemical) to quell pain and serve as a very important part of human survival. But, we have to back track for a minute and talk about the life cycle of a female. For Human Female Mammals, Estrogen is supposed to surge at about the age of 15, thus begins the menstrual process in a young woman. With Each month, a woman’s Uterus will contract to give an unfertilized egg. Now, why is this important? Because…we are supposed to feel PAIN in those contractions every month! This pain gets us ready for the pain of childbirth! (Just to note here that I’m not ignoring the fact that there are 6 year olds getting their periods and developing full breasts at 10 or that most women in this county are on birth control or bio-identical hormones, unnaturally feeding Estrogen and Progesterone into our systems so that our whole Endocrine System is muddled and struggling for balance. Excess Estrogen is the #1 contributor to breast cancer. Many women will never know the true, natural cycle of womanhood because of all the artificial hormones, both taken orally and in our food & water supply). When the Uterus contracts, a woman’s innate self wants to squat down to open the pelvic floor, but instead we are made to lay on our backs (for the doctor’s sake) and also given, in most cases, an epidural which cuts off that supply of the love drug, oxytocin, to the brain. An Epidural also shuts down the ability for progesterone to help contract the Uterus. (They really set a woman up here for the end result of surgery). When Pitocin is given to harshly and unnaturally contract the uterus so hard that the baby becomes in danger, the next words a doctor will utter is “C-Section, Stat!” Well, duh, of course you need to cut because you just made the whole, beautiful process of childbirth an impossibly and taken that gift from a female’s life. After the child is born under bright lights and loud sounds, it’s is briskly taken away, when through the process of evolution, that newborn is meant to lie on the mother’s belly to be soothed by her heartbeat until he/she is ready to breastfeed. These traumatic experiences can be felt throughout a person’s lifetime and cause deep, emotional scaring. So, I mentioned the big deal about why the Mother needs to surge the Oxytocin Hormone and here’s why… That hormone is created to flow throughout a woman’s body in labor and when the baby is born, the mother is so “high” that she is addicted to her child, literally. Then, when the baby takes its first, nutrient-rich suckle at the breast, the Oxytocin flows into the baby and makes him/her “dependant” on Mama. See how it works? It’s set up not to fail. Both are addicted and will rely on each other for life. Why does all of this matter? Well, for one thing, it’s too bring to light how far removed we are from nature and for all of us not to accept that Cesareans should be the standard. Cutting the gestational time from your baby is unnecessary and many doctors now will not take responsibility for a “natural birth.” Also, remember, if a doctor can get a surgery out of a patient, he can take that trip to Hawaii while you lie healing from your body being cut in half and trying to care for a newborn. It’s a shameful process. (See the Documentary,” The Business of Being Born” by Ricki Lake for insight on this topic). You are in 1 of 2 categories – 1, having been breast-fed and 2, not having been breast-fed. I hope you are in the first group. When we finally get to suckle on Mama’s breast, we are ready to create a whole ecosystem in order to set ourselves up for the rest of our lives to assimilate foods. Our newborn bodies are completely sterile inside and what gets added first will affect us until the day we die. This first liquid that comes from Mom is something called COLOSTRUM. This is a life giving fluid that flows through into the baby’s intestines and creates the perfect environment in order for beneficial bacterium to grow. This process needs to happen quickly so that an infant can take the breast milk and break it down into Carbohydrates, Fats and Proteins (MACRO NUTRIENTS). If you are in the second category, you didn’t go through this process and you are probably, today, still dealing with the affects of missing that important step in human development. I know, because I wasn’t breast fed and now know that even though I was diagnosed with what they called “Colic” as a newborn, was not something that just happened but that I was having horrible reactions to a product that was never meant to pass over my lips…Cow’s Milk formula. There are basically two sources of Formula, Cow’s Milk and Soy Milk. Both cause severe complications in the human digestive system. With both Formula types we are providing a denatured, broken down, Pasteurized, Homogenized weak source of nutrition. Cow’s breast milk is meant to build a 700-1,500lb cow, not a 7lb human. A newborn’s blood ph is 7.7, a higher alkalinity than adults, with cow’s milk testing in at an acidic 6.6, which puts a baby into an acid state right from the beginning. Remember, if the human body is acidic, it has to get minerals from the bones to buffer the acidity and lower the ph to survive. Other issues with milk include a deficiency in iron, vitamin E and essential fatty acids for infants and increases the risk of sever dehydration as the body has to work overtime excreting the excessive amounts of minerals like calcium, sodium, & potassium. Also, the high amount of protein and fat in cow’s milk are extremely difficult for infants to digest and absorb, often giving rise to gassiness, vomiting, allergic reactions, fussiness, bloating, etc. The fact that cow’s milk is pasteurized exacerbates the problem since there are no enzymes left to help break it down. Milk is highly acidic and mucus producing and sets a child up for a lifetime of autoimmune issues, both severe and mild. We often see kids with runny noses, but this truly is a constant state of allergic reaction as their little bodies produce mucus to try and drain out the toxins being fed to them. Makes sense, right? Soy Milk, the other option for modern times should never EVER be used for human consumption. Almost all (90%) of soy is Genetically Modified and Soy is also one of the hardest plants for humans to breakdown. It is also a Phytoestrogen, meaning it mimics estrogen in the body, which can create a whole list of conditions especially for a male child. (A mother should never ingest soy while pregnant for these reasons as well). If a child is formula raised, it never gets the variety of human milk that passes from a mother loaded with different nutrients that she is eating so that her baby can benefit from a wide variety of vitamins and minerals. If she eats broccoli, this gets broken down and passed to her baby, whereas with formula, the child’s diet never varies and most formula –fed children end up with allergies, not because they are weak but the body is struggling, trying to rid itself of the toxins obtained from their formative months. I recently heard a doctor say to parents of a newborn who was rejecting his bottle, “It’s strange, 50% of the babies are allergic to milk formula and 50% of them are allergic to soy.” Which left the parents baffled, like, okay, now what? My question of course, is, why isn’t this stay-at-home mother breast-feeding? And, if the odds are so stacked against the two options in the marketplace of formulas, what are we doing about it and are we setting these children up for childhood problems down the road? The last word about this is the part I am most passionate about and that is the set up for beneficial bacteria in the digestive system. I believe this is where all human ailments start – the lack of the good bacteria in our digestive tracks not allowing us to absorb nutrients. Babies are starving for vitamins and minerals but often don’t have the right internal culture to get what is needed. Very frequently, babies have a condition called Candida or thrush, which is inflammation of the internal alimentary track with no beneficial bacteria so that Candida Albicans overgrow in the gut until it becomes a big open sore throughout the body and can take years to recover from. Shame on the system for making us believe that somehow formula could be just as beneficial as breast milk, it is in fact the opposite, it is poison. (Visit notmilk.com for further information. There are many other resources instead of cow’s milk like Breast Milk banks, where nursing mothers dry ice and send their milk to infants in need as well as raw nut milks and the second best choice after Mother’s milk, raw goat’s milk, as they have a similar protein structure to our own and is easy to digest). So that’s how it all starts and you may want to correlate any health issues that you have now to how it all got set up in your early life. Children’s bodies are strong and full of life force with a bank account of enzymes, which are proteins that cause all activity in the body (mechanical) and also enzymes to break down food into Micro nutrients (digestive). We are only born with a particular amount of these digestive enzymes in the Pancreas of the human body. This means that every time a child eats cooked food, he or she begins to quickly use up the bank account of enzymes and the body has to begin to pull enzymes from elsewhere and not the pancreas. Is it any wonder that childhood diabetes is the number one disease in children today? This disease is the complete breakdown and depletion of this organ. It is unequivocally lifestyle-related! On the other hand, if a child (or adult) eats live, whole, natural, untreated, unheated foods, this will help build the bank account since all living foods hold their own enzymes. So, when a child eats a carrot, his own little body doesn’t have to give away enzymes since the carrot has plenty of enzymes to work in his body. Get it? WE NEED MORE LIVE, ORGANIC, ENZYME-RICH FOODS TO SUSTAIN LIFE! I If you know any child that has diabetes, this can be completely reversed with diet – don’t be fooled to believe a child has to suffer and take insulin – it is well documented that anyone, children and adults can be insulin free with a healthy diet in as little as 30 days. This very prevalent problem is a travesty in the United States (up by 600% this year). Let’s look at the real issue with this condition… First we have a Mother that may not be the healthiest of people – stressed, poor diet, candida, heavy-metals, lacking vital nutrients, taking hormones, etc., even though she may “look” like she’s in good condition, we may not know if her DNA/RNA has been disrupted in any way. While pregnant, some nutrients are just not able to be given to her child and her child is born, structurally fine but with delays and abnormities. The issue with vaccines and these children is that they almost always have a completely collapsed immune system and when you add a virus into an already struggling body, the child becomes even more shut down from the toxic overload and nutrient deficiency. What I’ve seen in my years of observation with these children, albeit, a far, since it is not my expertise, but when these children receive a lot of good nutrition, cultured foods, removal of all dairy (which is a poison to the human body), sugar (the same chemical structure as heroin), dyes (derived from coal tar), all casein/rennet (the protein in cheese that is like glue in the small intestines) and all gluten (another gummy protein) these children response phenomenally. With supplementation, diet and time, a child’s whole immune system can be rebuilt so that they may have the lives they deserve. In childhood, almost all diseases or strange anomalies in children can be traced back to lack of nutrients, a lack of beneficial bacteria in the digestive tract or an overwhelmed immune system. You must always remember that you can change almost any condition from UN-balanced to balance in a short period of time, but it takes stepping out from the model of the SAD Diet…Standard American Diet. Doctor’s need to give results and with anxious parents breathing down their necks, they feel like they need to give a remedy quick to those parents when their children are suffering. Therefore the use of ANTIBIOTICS (meaning “anti-life”) is being given to children even when it could never help the problem. (A Virus, i.e. the common cold is an example). Even when most children are in need of building their good gut flora, which they didn’t get as a child, and need to have in order to build a healthy immune system, doctors instead treat children with anti-biotics (ANTI-Life) obliterating all good and beneficial bacteria in their system and compounding the problem. Consider a strong course of PROBIOTICS (“FOR- life”) when a child gets sick. Also, never ‘feed a cold” since the body will use it’s energy to digest instead of heal. Children need good bacteria, good water and rest to help the body build a strong, lifelong immune system. We are meant to ride out colds and flus so that we train our body to build strong T-cells- our fighting Army against foreign invaders. Remember that cutting this process short with over the counter drugs and suppressants only drives the bacteria further into the body to come back at a later date even stronger. All of this makes sense, right? We can’t blame those that cared for us because they didn’t know. It’s not like our health teacher got up in front of class, pulled up his shirt and told us about our organs, where they are how they work all together. I have clients that come in and tell me their liver hurts as they hold their back. (The Liver is on the front, right side). I get it because I had no clue how to operate my body until I became sick and had to learn quickly. Let me get off my rant about doctors, hospitals and the moneymaking industry that is anything but healthy in this country. Let’s get into the nuts and bolts of living a clean and energetic lifestyle! Okay, let’s get the obvious out of the way. Dairy, Soda, Artificial Sweeteners, Sugar, Coffee and Alcohol will kill you slowly. It’s that simple. You want to shorten your life, have any of these often and lots of factory-farmed meat and you will be digging your grave with your fork. All of these are toxins and if you never cleanse and get them out, they will stay in your body till you die and are most likely the cause of how you got sick in the first place. I won’t go into EMF pollution, interior outgassing, pollution and radiation that add to the overload on your body besides what you’re ingesting. Just know that you are swimming in a soup of issues that could be adding to a health condition in your body. Personally for me, it’s my amalgam fillings- full of toxic mercury - that is wreaking havoc on my nervous system making me anxious and emotional. Therefore, I have no choice but to do all I can to help release the vapor gases from my blood by eating certain foods and doing an infrared sauna every week until I can get all of these horrible, brain-eating metal fillings out of my mouth! What’s your health issue? I bet it can be helped with your diet, and that’s where I come in. Choose your top health concern and let’s use diet and detoxification to help you have the radiant health you want! WE, AS HUMANS, NEED GREENS! If you have any hope of dying of just old age and not of some dreaded, debilitating disease, you must consume as many greens as possible. We have a synergistic relationship with plants. They breath out oxygen and we take that in, we breath out carbon dioxide and they need that to survive and create photosynthesis, the life force that makes edible plants become energetic food for us. Brilliant. Here’s the best way to bring greens into your life without eating like a rabbit…drink your greens in the form of a GREEN SMOOTHIE! I have been doing green smoothies for many years and have found it to be the most important piece of my diet that I will never give up. This simple addition to my diet has changed my health most dramatically. I’m not a big salad eater, so polishing off 1 lb of greens would be a challenge for me, but blending it first and breaking it down completely is so easy to eat. This is what I do everyday and it has changed my life. Add three dates, a ripe banana, 1/2lb of organic spinach, 1/2 lb of organic spring mix with 1 liter of water into a blender. Then DRINK! It is delicious, sweet, energizing and satisfying. You will want to start your day with it all the time because of how much natural energy it gives you. If I miss a smoothie I feel out of sorts and drag through my day. This is the basic recipe and you can have fun changing up the fruits and greens in your daily health drink. The charged minerals in greens alkalize the body and help push out acids that have built up in the cleansing process during the night. (All systems cleanse during our sleep). Getting alkalized calms the body and creates a sense of peace in our constitution. (Think of a docile cow that eats green grass all day- they are so placid and happy). Because the greens are blended, you are getting a lot of fiber to push waste through the intestines and because it’s already broken down, the digestive system doesn’t have to work as hard to utilize the food. Try it, you’ll love it and so will your kids, if they aren’t too acid already. Acid follows acid, if the body is out of balance, anything green will not taste good until you can become alkaline then you can taste the sweetness of vegetables and even sweet fruit can taste sugary! It’s magical to feel Zen and nourished after a lot of greens. Remember, disease only can survive in an acid body, so it’s important to get those minerals in! A great way to look at nutrition as you are getting healthy is to focus on bringing in the “Good,” and as you get healthier, the “Bad” will just fad away. Why? Because you won’t crave things that make you feel tired and weighed down. I grew up in the Philadelphia area and LOVED cheese pizza. In fact, we had it several times a week including school lunch. I couldn’t imagine life without pizza and vowed that I would never give it up. As my desire for good health challenged me to find other foods besides “fast foods” to eat, I took on the challenge of giving up dairy for 2 WEEKS! That was 15 years ago and to this day, I still say that was the hardest thing I ever did. At the end of those 2 weeks, I couldn’t wait to get back to my milk and cereal, ice cream, mac n’ cheese, etc.…and, you guessed it, every bite of dairy made me sick to my stomach. My body was now telling me the truth – it doesn’t belong in the human body!! I invite you to take this challenge as well. Figure out what is making you sick and tired and start putting in things that create life, not drag yours down! One day, when I was on the road to good health, I went to the grocery store and bought everything in the produce department that I had never seen before. Did you know that we basically eat the same 10 foods all the time? It’s true – keep a food journal for one month and see that you eat the same thing for weeks, it’s fascinating. So, I had all these strange things I had never seen before and certainly did not know how to cook. Think Rutabagas, Parsnips, tamarind root, jimica…I laid them all out and stared at them, looked up their nutritional content and started experimenting. Who knew Jimica was so sweet and light, it’s now one of my favorite “starchy” foods in the summer. Durian, a fruit out of Thailand looks like a spikey football and smells weird but it is my absolute favorite food of all time – I just had to have the courage to try it!!!! You’ll find your favorites too, but remember, try to eat what is provided locally and eat seasonally so that your body can be in rhythm with the Earth’s flow. (I only eat Durian when it’s in season in that Country and it’s a treat for me, but mostly, I eat what California provides, where I live and it is a treasure chest of goodness. Can someone say FIGS!!! Yum! Detoxification – It is my deepest passion because of the miracles I have seen in both sick and well people. We are brought up knowing nothing about how to care for this vehicle we live in. The human body seems to be a challenge for us to figure out and yet once you understand your unique engine, you empower yourself to know how to fix your body when symptoms show up. The way we detox is through the Lungs, Skin, Colon, Kidneys, Blood (Lymphatic System), and Liver. There are methods such as dry skin brushing, netti pot, eating raw foods, taking herbs, sweating and taking the time to do periodic cleansing which involves eating clean, wholesome, organic and nutrient-dense food for a period of time. There are many cleanses, but the best place to start is by doing a session of Colon Hydrotherapy. This will clean the colon, help release Bile from the Liver and hydrate the Colon. You will then have a better idea of the type of cleanse you need and with the support of your Colon Hydrotherapist, you will be assisted in choosing the best path in the Holistic Health realm, where it’s not about chasing the reason of symptoms, it’s about addressing the mind, body and spirit as a whole. Become your biggest cheerleader to yourself and educate yourself on how to heal your body so when you need it, you’ll know what to do! My best to you- In good health! Living in a world full of stimulation...it's time to address the importance of sleeping well... You may eat well, exercise and have a full and enjoyable life but without proper sleep, your body will show signs of weakness in the form of sickness, low immune function, hormone imbalances and, well…a general feeling of being cranky and tired. Before reaching for an over-the-counter or a prescription remedy, let’s look at what’s really going on that may be affecting your sleep pattern. In holistic terms, the body will never go against you – ever – it is always seeking balance, rhythm and health. So sleeping issues are a truly modern problem and one that should be addressed if you are not sleeping at night. The basics: your own body has its natural circadian rhythm that is specific to you. You might prefer working at night as opposed to the morning or you like to exercise at the end of the day instead of the early morning hours. This is your preference and therefore you create your own body’s rhythm, established in your earlier part of life. The key is to know your own rhythm and work with it. The body likes patterns and consistent daily routines. Your body wants to get up at the same time every day, eat at the same time everyday and go to bed at the same time each night. Therefore the systems of the body – hormones, digestion and the cleansing cycle of the organs can expect to do their job at the same time each day with little variety. So the first action to track is your daily routine. For two weeks, try and keep a constant schedule so that your body can regulate itself. Track how you feel for these two weeks and what works and what doesn’t work. Keep that consistency! This will do wonders for your overall health and allow you to see and feel your own, unique body clock. So to recap, first the circadian rhythm must be addressed. Next, we can look at outside helpers to assist in your getting your sleep back on track. If your body clock is off with an uncontrollable schedule, you’ll need to address the Melatonin levels in your body. This hormone regulates the pineal glad and therefore the light and dark cycles that tell your body to sleep and to wake. As we age this hormone diminishes so what can you do to make more melatonin? Eat black cherries! The phytonutrients in black cherries help regulate the hormone of wake and sleep cycles and can be a natural source instead of supplementing with Melatonin itself. Black cherries are also extremely alkalizing and can be added to a green smoothie for a nutritious breakfast. You can also buy black cherry concentrate and add this to your water to have throughout the day. Another mode of helping the body to sleep is to gently diffuse calming oils into your sleep space that may include lavender or frankincense. There are many “sleepy time” blends on the market that are used to calm the nervous system and aid in your environment. Creating a nighttime routine of setting up your sleep space can help your brain to begin shutting down slowly as it creates nuro-pathways of suggestive thought…music, mediation, tea, dim lights, cool temp, etc. The next area of thought to be addressed is your nervous system in general. Often we don’t sleep because we have stress hormones (adrenaline, cortisol, etc.) coursing through our bodies and we are in a sympathetic nervous state for long periods of time putting us in “fight or flight” for sometimes years at a time and then the body does not shut down to rest because it hasn’t learned that you’re out of danger. Helping yourself with stress can benefit sleep immensely. Taking deep breaths through the day, going outside at points during the day to get sunlight (go without sunglasses as sun needs to indirectly synthesize through the pupils). Taking short walks to encourage balance and de-stress. If you can, begin to cultivate a meditation practice before going to bed, as well as writing your end of day thoughts. This will help calm the mind and turn on the cleansing cycles for your organs, therefore assisting in your overall health. Grounding technology…because we live in big cities we rarely have the opportunity to get grounded through the natural waves coming up through the Earth that literally keep our body balanced and feeling “good.” When we use electronic devices or have EMF’s around our body field during the day, we can feel drained no matter how much sleep we are getting at night. Check out the grounding pads that are available online and start with getting a pad that you put your feet on while at your computer and see if you feel more energy at the end of the day. It can be a game changer for those who struggle for deep, restorative sleep. As many of us live in large cities, air quality can also be an issue, especially because at night we breathe much deeper than during the day. Consider using a HEPA filter in your sleep environment as a way to keep allergies and asthma at bay. Of course removing any electronics away from your head area will lesson the EMF transmissions in your room. Beyond the basics of the general go-to’s: Bathing with Lavender, or having teas made from Valerian, Kava Kava, Chamomile, etc., herbs can be a great addition to a night time regime, but trust me, working with your own body rhythm, finding balance and assisting the nervous system will help you overall and not just a quick fix for the night. You may also find a sleeping mask and ear plugs helpful to hear your own breathing or listing to ambient noise may be a better choice, but in any case, find what works for you and try and get that 7-9 hours of needed sleep in so that you will be well in your older years. Good luck and keep dreaming those big dreams in deep, nourishing sleep! Giving Gospel about Cleansing and Juicing at LIB! In The Tasting Kitchen Dome at LIB talking about Holistic Health and giving yummy juice samples! Acknowledgements in Rainbeau Mars new book! Thanks for the personal acknowledgement Rainbeau! You're sharing the importance of Colonics and Detoxing, a beautiful thing! Talkin' Detox at Lighting in a Bottle! Sharing info about Cleansing & Juicing in The Learning Kitchen at the very conscious and hip Lightning in a Bottle!